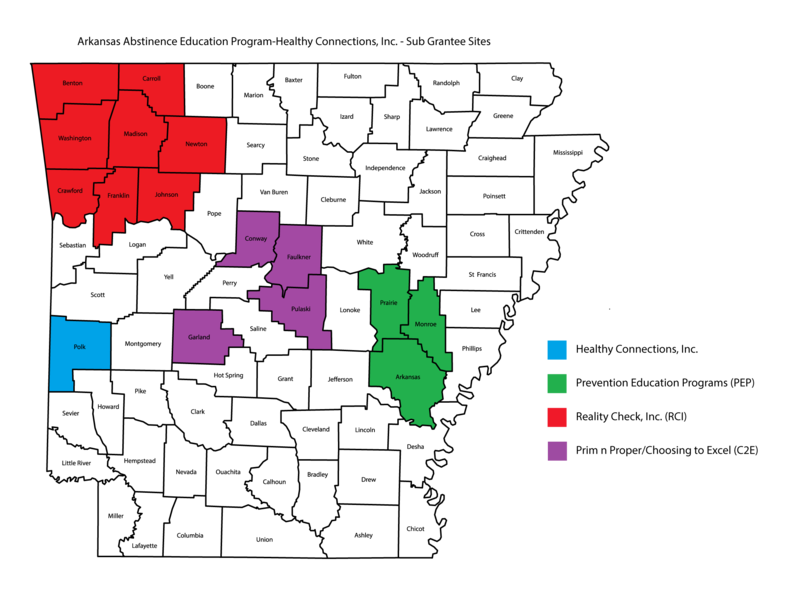 11,739 youth were served through the Arkansas Abstinence Education Program during the funding period from October 1, 2015-September 30, 2016. The Arkansas Abstinence Education Program is a statewide abstinence education program targeting youth 12-19 years of age. Healthy Connections, Inc. (HCI) received the grant award in July of 2011. HCI serves youth in Polk County at Mena Middle School. The Arkansas Abstinence Education Program is funded through the Arkansas Department of Health under the Federal Title V Funds. “Choosing the Best”, the evidence based curriculum approved for use by the Arkansas Department of Health, is used for all students. The curriculum uses a combination of video vignettes, medically accurate information and hands on activities teaching the students the risks involved with being sexually active. The Curriculum also focuses on understanding the need for boundaries, learning how to “set, say and show” their own personal boundaries. All sites are required to provide 14 hours of abstinence education curriculum to the students enrolled in the program. For more information call Healthy Connections, Inc. at 479-437-3449 ext. 134.